Disasters can come as either natural or man-made occurrences. Most certainly, disasters often happen without prior notice to the victims. In 2014, the United States witnessed more than 45 natural disasters ranging from storms and flooding to tornadoes, earthquakes, mudslides and wildfires. Using anti-disaster measures can significantly mitigate effects on the victims. These precautionary steps assist in reducing the chance of damages to lives and properties. Calamities bring about individual challenges such as ill health, homelessness, hunger or even loss of life. One important precautionary measure is being financially prepared. 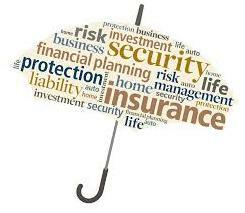 Financial planning is beneficial to victims of disasters in many ways. 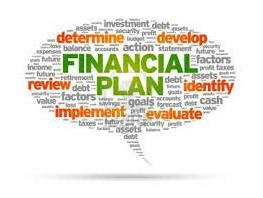 Financial planning ensures a person is protected from being vulnerable to the burdens of disaster. The benefits of financial planning also extend to the long-term consequences posed by catastrophes on victims. This article will summarize some financial guides on specific aspects of emergency management. First is the family disaster plan. This is an individual plan on how to prepare for emergencies and what to do when one happens. It is important for a family to identify the risk factors in its locality. Information about this can be sought from the local department of environment, department of physical planning, the local Red Cross Society or the local emergency management agency. Each member of the family should also be educated on how to prevent an emergency. Phone numbers for local police, fire service and other agencies should be shared among family members. Family members should also be instructed regularly on how to shut the windows, switch off electrical installations and utilities, inform the police of suspicious activity and other safety precautions. Each family should discuss making contributions toward insurance policies that will cover the entire family in the case of ill health and any other emergency. In addition, family members should be committed to purchasing emergency kits for the household. Plans should be in place to protect personal property against disasters. Steps should be taken to insure properties with a reputable insurance company. All the terms and conditions associated with the policy should be strictly adhered so the insurance company can pay claims. Physical measures, such as installation of smoke detectors, should be taken. Each family should also maintain a savings account into which they will make regular contributions. These funds can be used to take care of the needs of the family during disasters. This will reduce the incidence of catastrophe on the family. The government can also play prominent roles in planning financially against disasters. County and municipal governments should enact policies that will make businesses contribute a proportion of their profits into a special emergency management account. Funds contributed into this account should be utilized for managing and controlling emergencies. This could include the rehabilitation of displaced persons, as well as making provisions for the welfare and security of the entire citizenry. The utilization of the funds should also include the reconstruction and development of infrastructure. In conclusion, adequate financial planning is required to prepare a society sufficiently for emergencies since funds are needed for effective management and control of disaster. Author: Adesanya Omoniyi ADEKOYA, an administrator, economist, business advisor, politician, development activist and doctoral student of Public Policy Analysis at Walden University can be contacted via [email protected].